THE ONE WHO SAID THAT A COMBINATION OF THUNDER STORMS AND SEA ROCKS IS THE WORST THING THAT CAN HAPPEN TO SAILORS, CLEARLY DIDN’T HAVE TO SURVIVE ONE. THE REAL DEAL STARTS THE MORNING AFTER, AND THIS IS THE EXACT TIME YOU, DEAR PLAYER, ENTER THE CRUEL WORLD OF OUT OF REACH. The first enemy to encounter after surviving the storm will be your own body. Even the tropical forests have rainy days and cold nights… at least for a castaway in shorts. Searching for a shelter to stay over night could be almost as essential as finding food before someone considers you as something to eat. Although the archipelago was considered deserted before ships started to crash into sea rocks nearby, every kind of area on the island has its natural inhabitants who just don’t give a warm welcome. Thinking twice every time before moving ahead could be one of the smartest things to do. 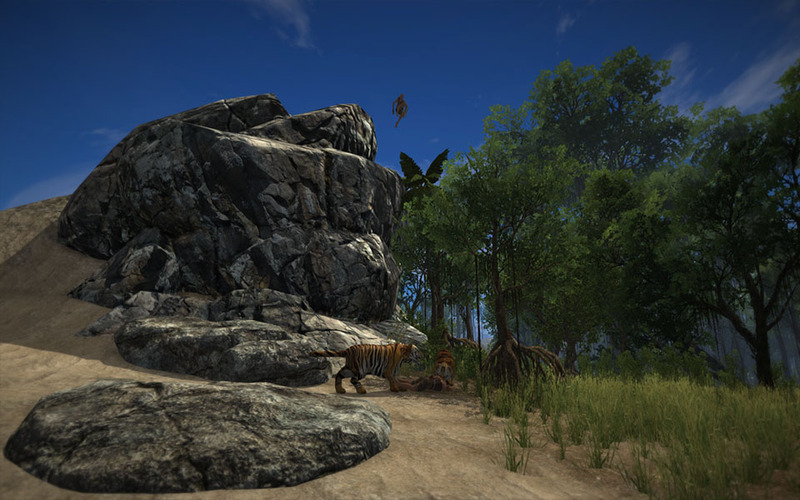 STAYING ON A BEACH AFTER CRUSHING YOUR BOAT ALLOWS YOU TO HUNT FOR SLOWLY MOVING ANIMALS AND GIVES THE ABILITY TO SEE AT LONG DISTANCES. DISADVANTAGE – YOU CAN BE SEEN FROM EXACTLY THE SAME DISTANCE AND THERE’S ALWAYS SOMEONE TO CALL YOU HIS OWN SLOW-MOVING FOOD. 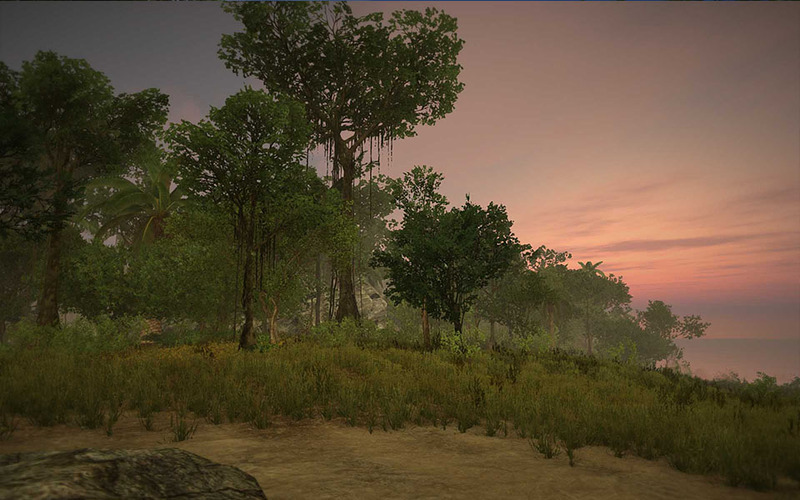 Before being able to found your first wooden settlement, you will need to stay constantly on the move, hunt and avoid being hunted at the same time. Getting to know the nearest neighbourhood could be your first step to stop looking like bait. 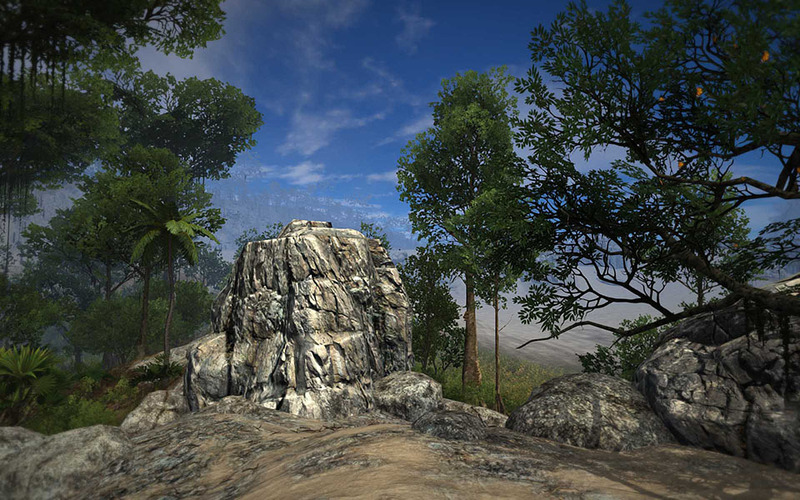 In Out of Reach, you are put into diverse environments of jungle, desert, plain, mountains and forest. 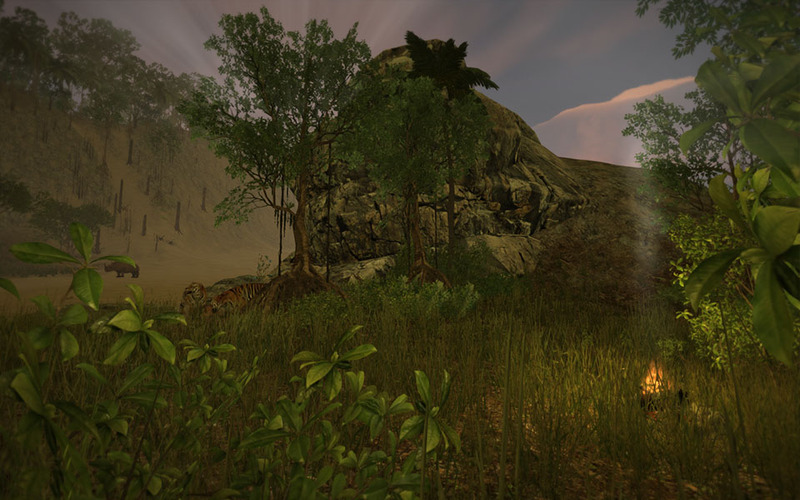 Due to constantly changing weather and surrounding under players’ influence and interaction you need to travel across the land in search of a minute of peace or gather enough resources to build a boat and find home on other parts of the archipelago. Looking for a place to store your timber or a quiet and cosy room to forge a sword and tan a skin of an elephant? Build your own stronghold! Use dozens of building elements like walls, stairs and floors to assemble the house of your dreams in an environment of your choice… or just take control of one. The greater the distance, the safer you are. Ballista may be slow to load and unable to move but the ability to pierce a target with a 1,5m dart few hundred meters away in no time shouldn’t be underestimated. Unusual situations require extraordinary solutions. When an axe doesn’t help or doors are just to thick it’s time for a trebuchet. Construction costs both time and resources but nothing surprises like a forced entry through a wall. 7 Days To Die Alpha 16 Experimental B119 is Out! Aggiornare a Windows 10 gratis ? Non è troppo tardi!